Height: 6' 2" Weight:228 lbs. Background: When he was the head coach of the Houston Oilers, Bum Phillips had the best running back, if not the best running game in the NFL with Earl Campbell. When Phillips became head coach of the New Orleans Saints, he wanted to follow the blueprint for success that he enjoyed in Houston. As a result, Phillips passed on Lawrence Taylor and drafted South Carolina star George Rogers with the No. 1 overall pick in the 1981 NFL Draft. While Taylor went to be arguably the best linebacker, if not the best defensive player in NFL history, Rogers was a good pick and made his mark instantly, dramatically. The Heisman Trophy winner led the NFL in rushing in his rookie season with 1,674 yards, an all-time high for an NFL rookie, and scored 13 touchdowns. The 1,674 yards are still a franchise best for a single season. Rogers earned Rookie of the Year and first-team All-Pro honors and a Pro Bowl berth. He backed it up with another Pro Bowl berth in 1982 before unleashing another outstanding season in 1983 with 1,144 yards and five touchdowns, ranking 10th in the league in rushing yards. 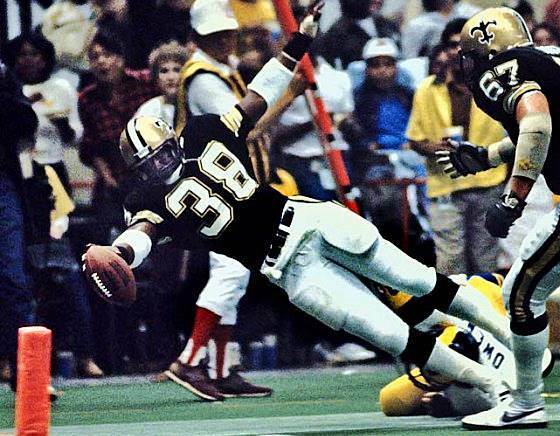 In his final season with the Saints in 1984, Rogers rushed for 914 yards but just two touchdowns. Phillips then traded Rogers to the Redskins on April 25, 1985, just prior to the NFL draft. He went on to play three more seasons, rushing for over 1,000 yards in two of those, leading the NFL in rushing touchdowns (18) in 1986. Rogers also caught 44 passes for 292 yards with the Saints. Despite playing just four seasons in New Orleans, Rogers still ranks second all-time in franchise history in rushing with 995 carries for 4,267 yards and 23 touchdowns. He led the Saints in rushing in all four seasons with New Orleans. He had 16 games of 100 or more yards rushing in his 51 games played for the Saints. Greatest Moment: The Saints opened the 1983 season on Sept. 4 at home in the Louisiana Superdome against the St. Louis Cardinals. The Saints won 28-17, thanks to Rogers. The third-year running back rushed 24 times for a career-best 206 yards and two touchdowns, including a 76-yard dash early in the third quarter that gave the Saints a 14-10 lead, one they would not relinquish. He added a one-yard score later in the quarter. 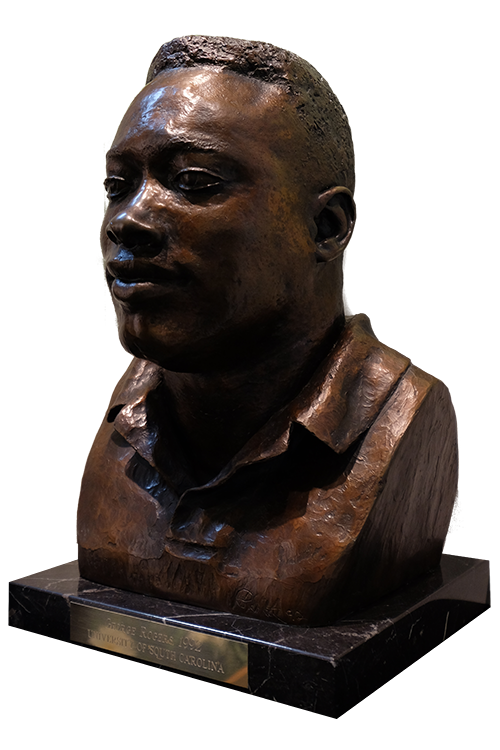 Honors: Rogers was inducted into the Saints Hall of Fame in 1992. He was named first team All-Pro in 1981 and earned Pro Bowl honors in 1981 and 1982. He is in the National Foundation and College Football Hall of Fame, the South Carolina Athletic Hall of Fame and the Georgia Hall of Fame.